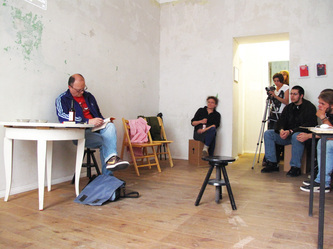 DIRECT ACTION IST EIN UNKURATIERTES PERFORMANCEFESTIVAL DAS seit 2010 jährlich STATTFINDEt. HAUPTANLIEGEN DES FESTIVALS IST ES, MÖGLICHST VIELEN VERSCHIEDENEN KULTURSCHAFFENDEN, DIE MIT UNTERSCHIEDLICHEN ANSÄTZEN UND PRAKTIKEN IM BEREICH DER PERFORMANCE ARBEITEN, EINE PLATTFORM ZU BIETEN, UM EIGENE POSITIONEN ZU PRÄSENTIEREN, REGE UND DIREKTE INTERAKTIONEN STATTFINDEN ZU LASSEN SOWIE LÄNGERWÄHRENDE KONTAKTE KNÜPFEN ZU KÖNNEN. 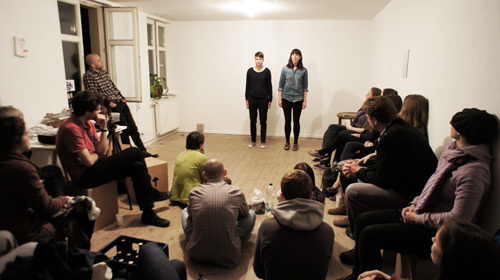 DAS FESTIVAL RICHTET SICH AN experimentierfreudige PERFORMANCE-KÜNSTLERINNEN UND KÜNSTLER. 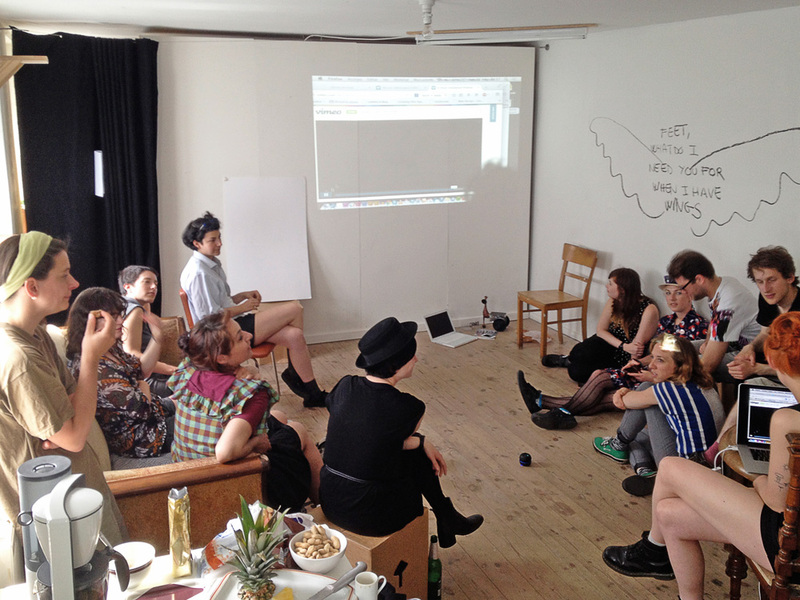 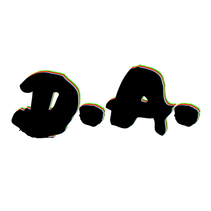 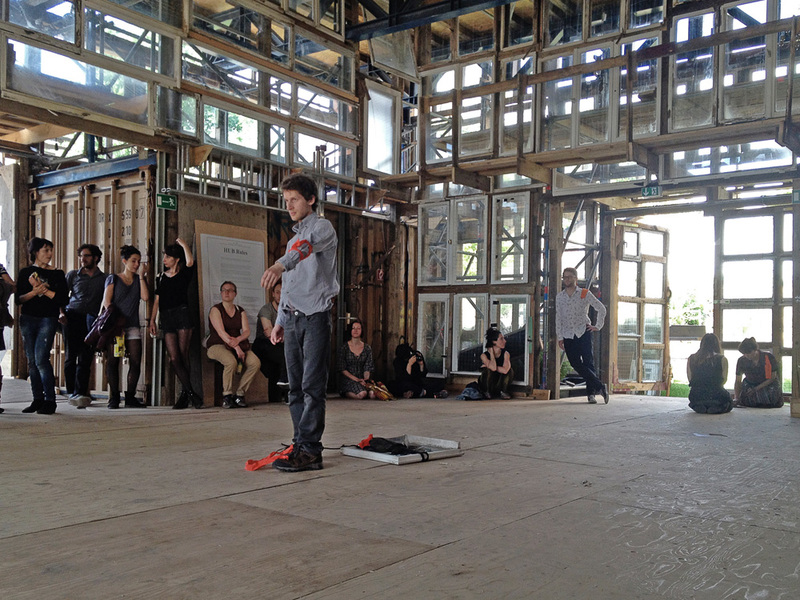 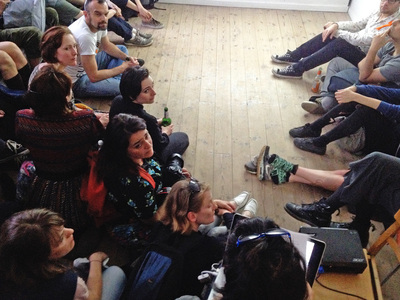 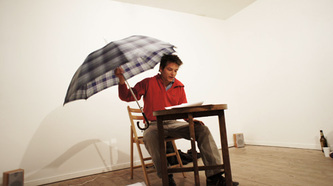 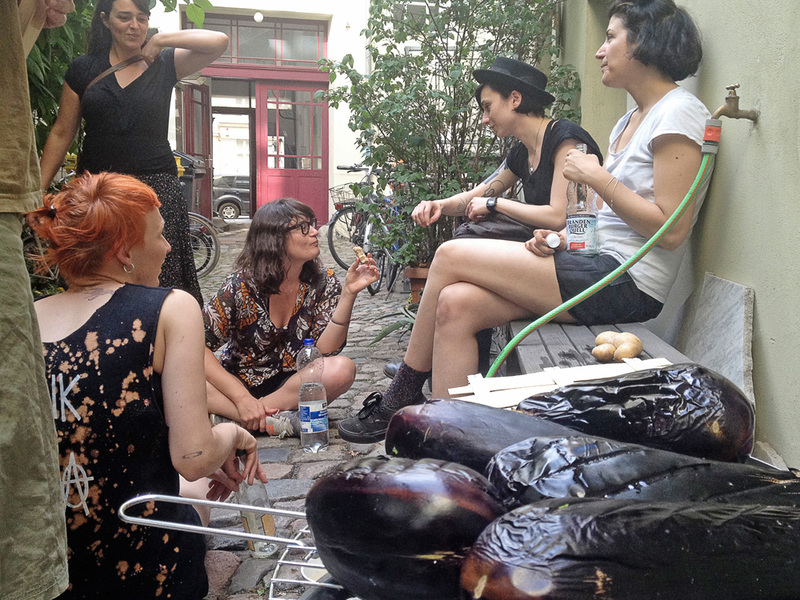 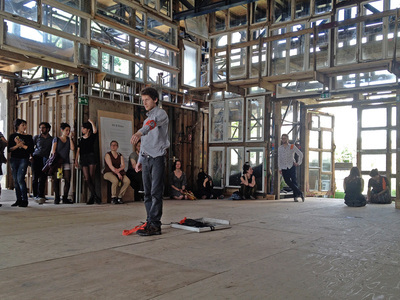 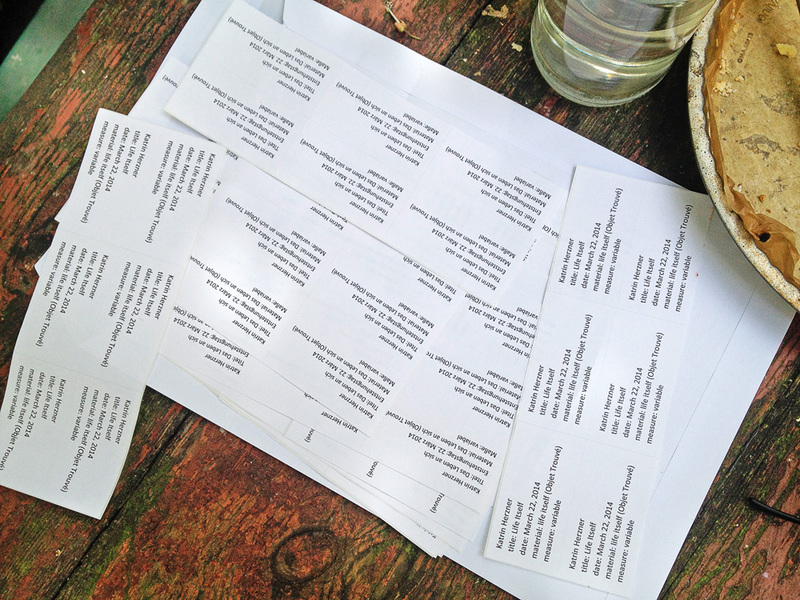 DIRECT ACTION IS A NON CURATED PERFORMANCE FESTIVAL TAKING PLACE every year. 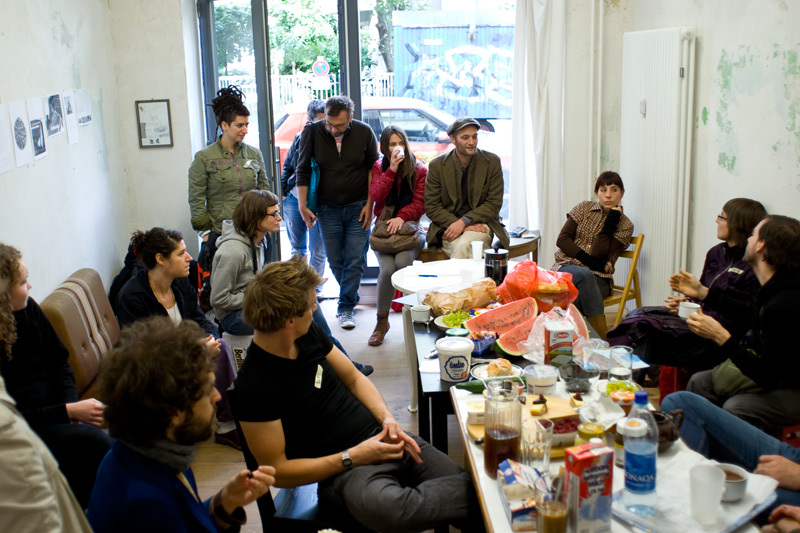 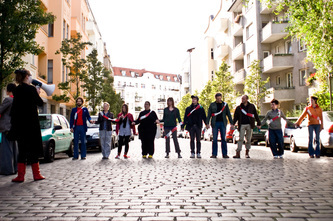 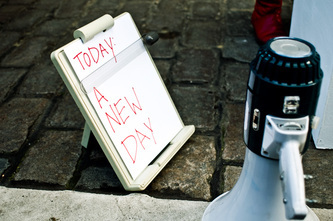 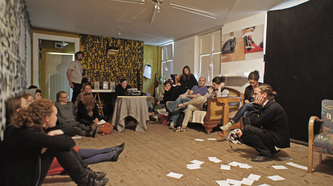 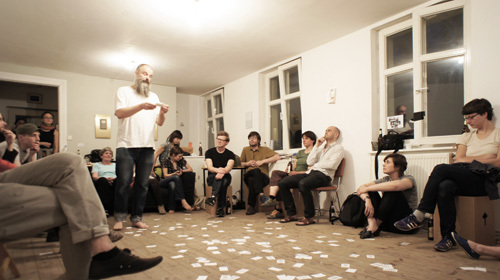 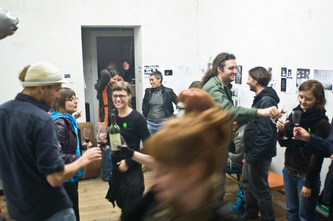 INTERESTED IN PROVIDING A PLATFORM FOR PEOPLE WORKING WITH DIFFERENT APPROACHES AND PRACTICES IN THE REALM OF PERFORMANCE, AND TO ENABLE THEM TO SHOW THEIR OWN POSITIONS, TO INSPIRE AND TO INSTIGATE A VIVID AND DIRECT INTERACTION, Direct action CREATEs OVER THE COURSE OF its realisation, AN OPEN AND INTERNATIONAL PLATFORM FOR MULTI-LAYERED ACTIONS, DISCUSSIONS, AND NETWORKING IN THIS FIELD. 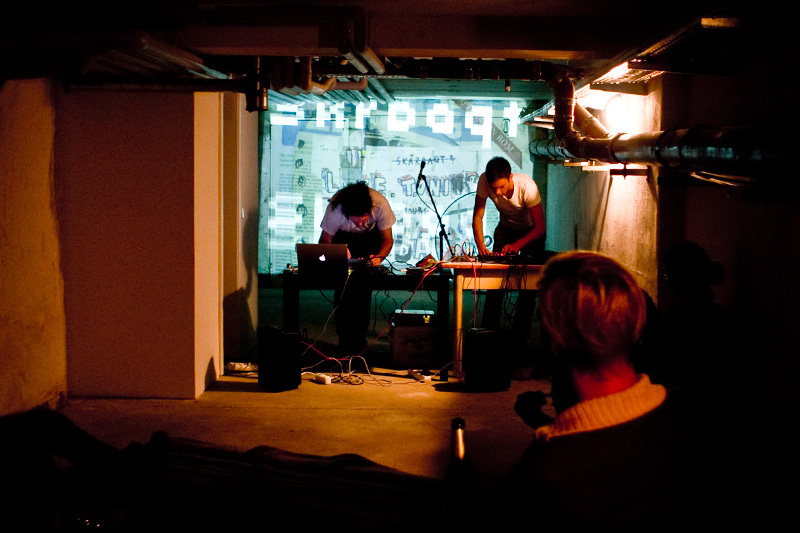 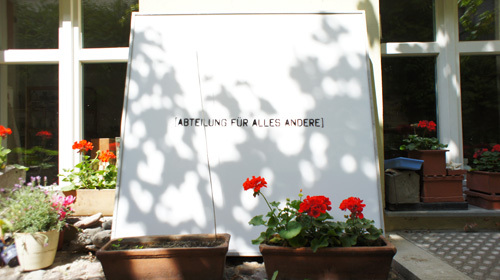 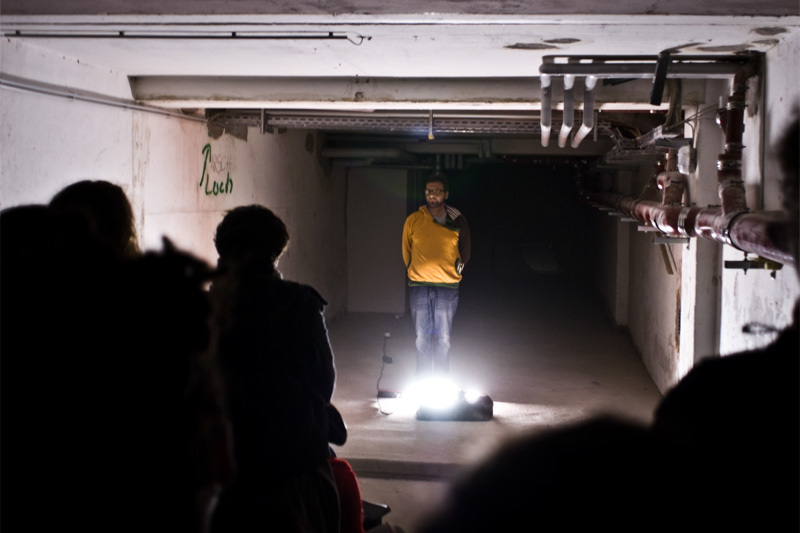 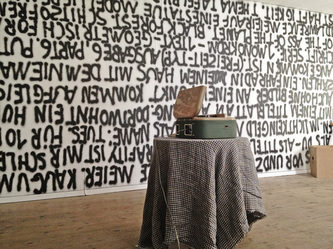 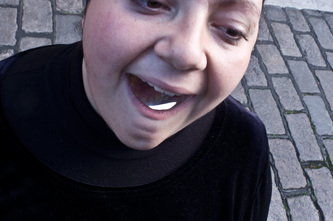 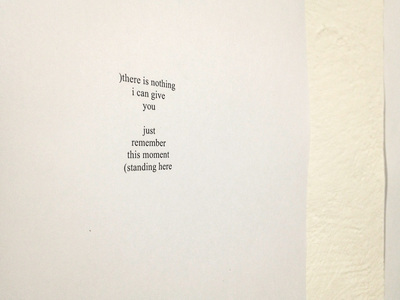 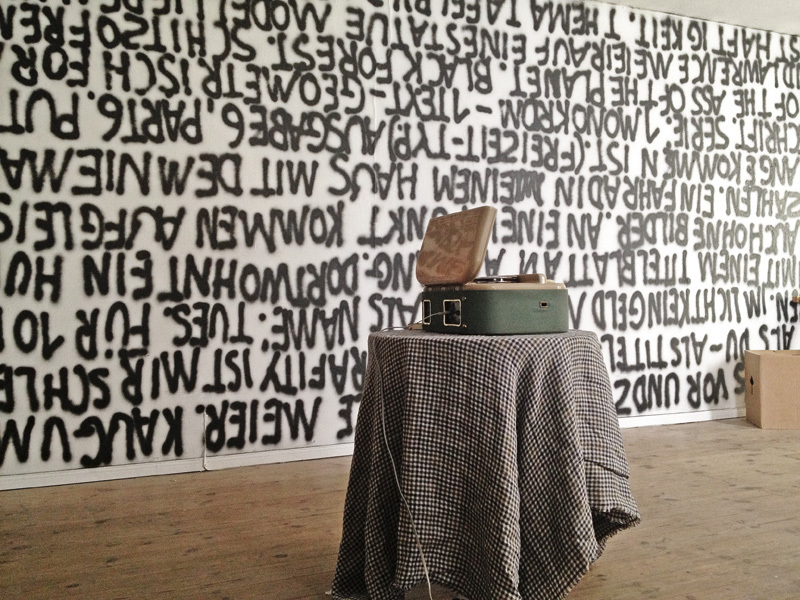 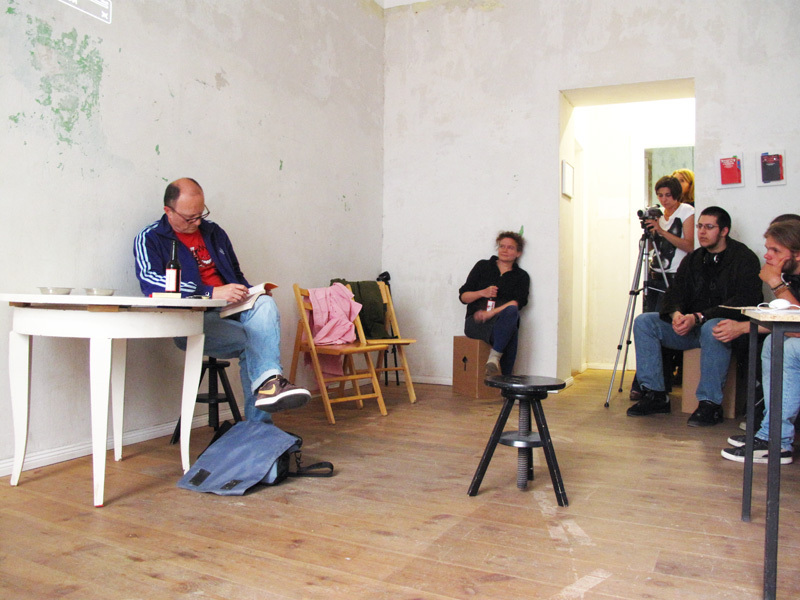 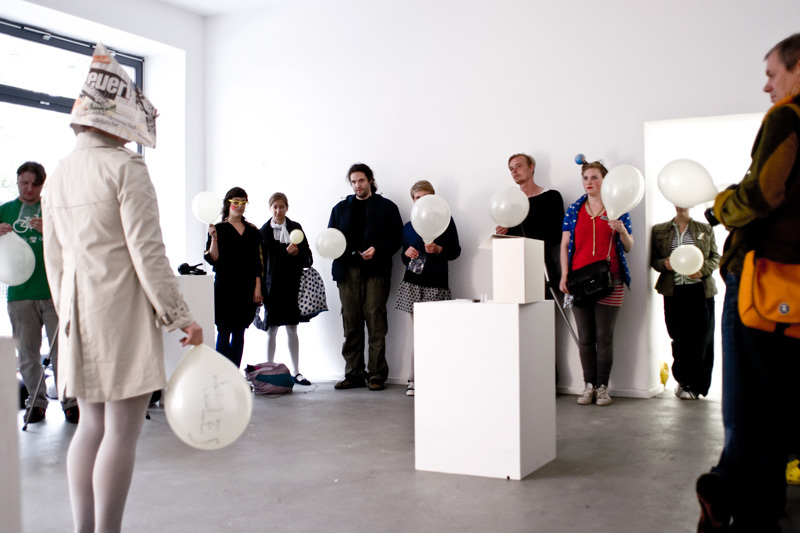 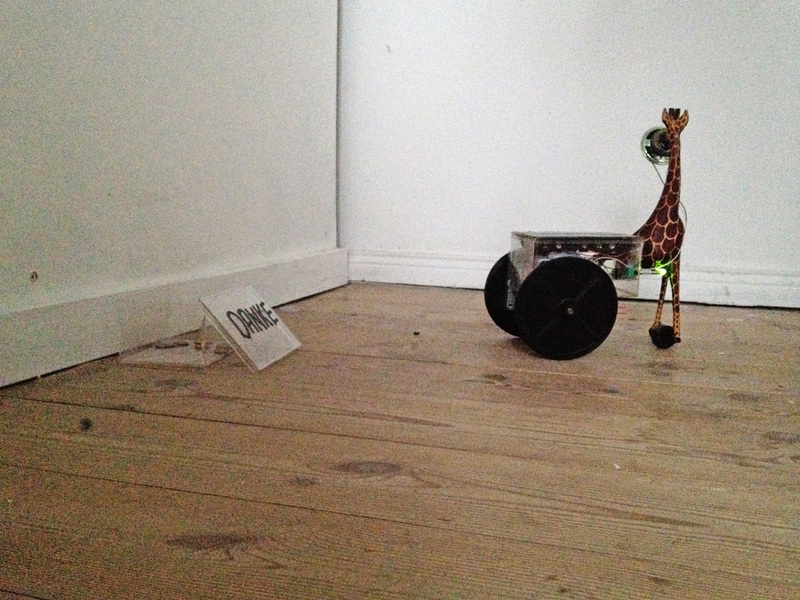 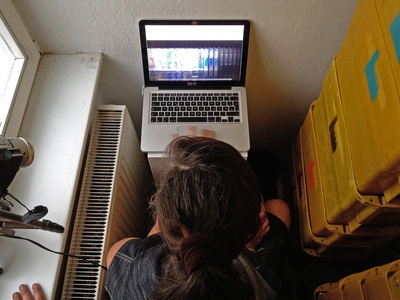 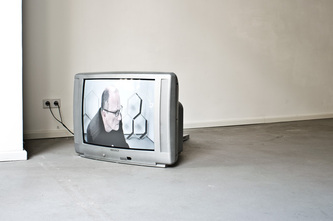 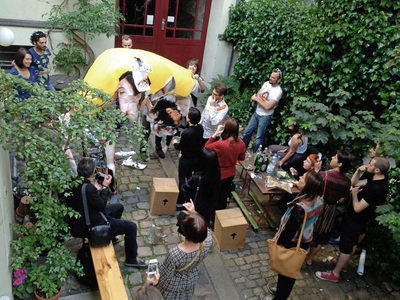 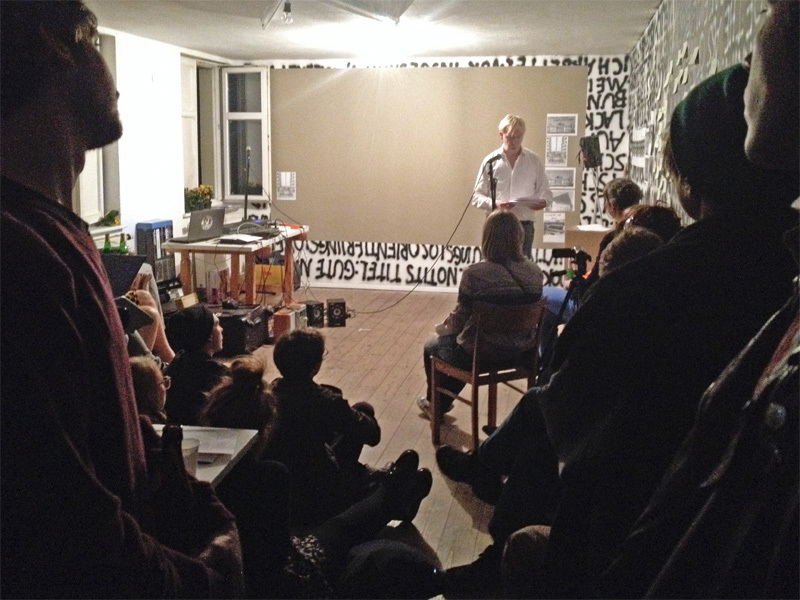 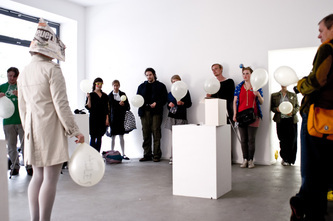 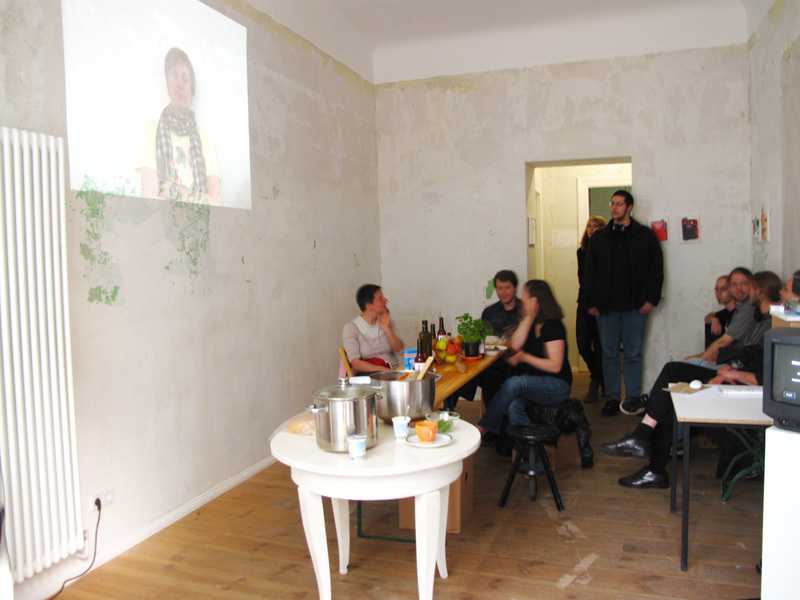 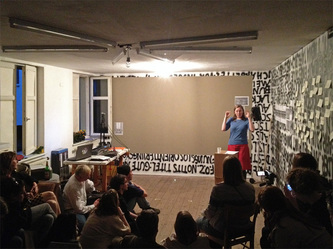 THIS YEAR: "PERFORMANCE ON*WITH*THROUGH LANGUAGE"
DA*2013 IS A NON-CURATED PERFORMANCE Gathering happening for the fourth time AS PART OF THE MONTH OF PERFORMANCE ART, BERLIN. 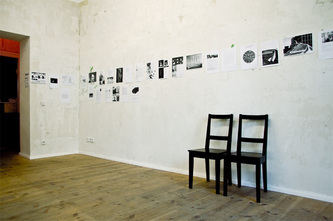 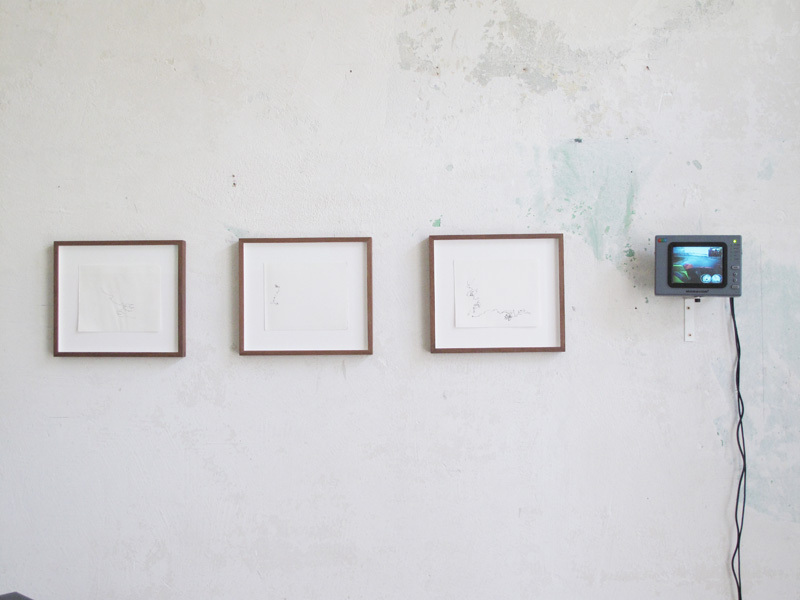 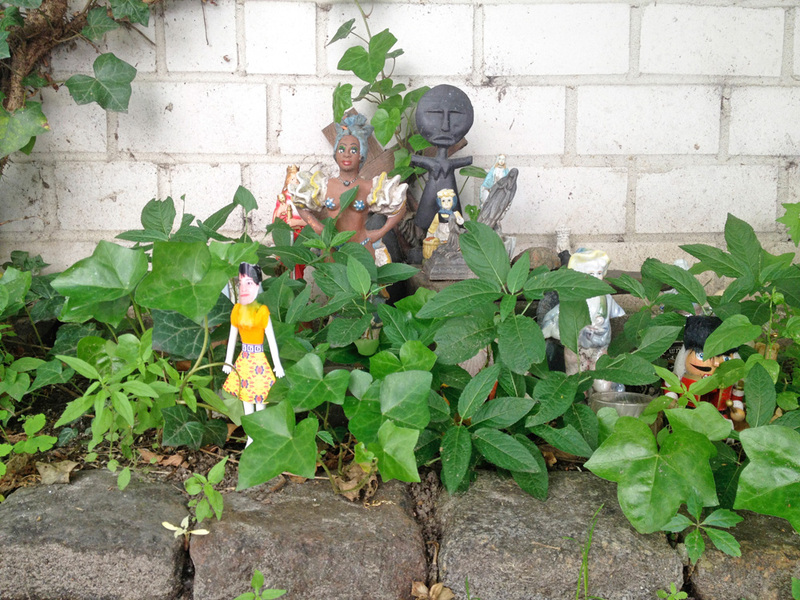 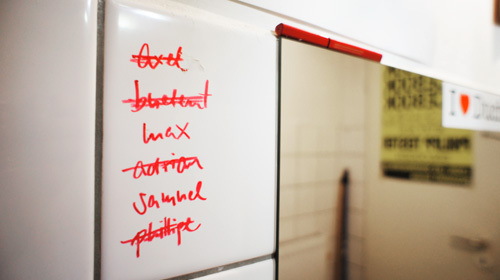 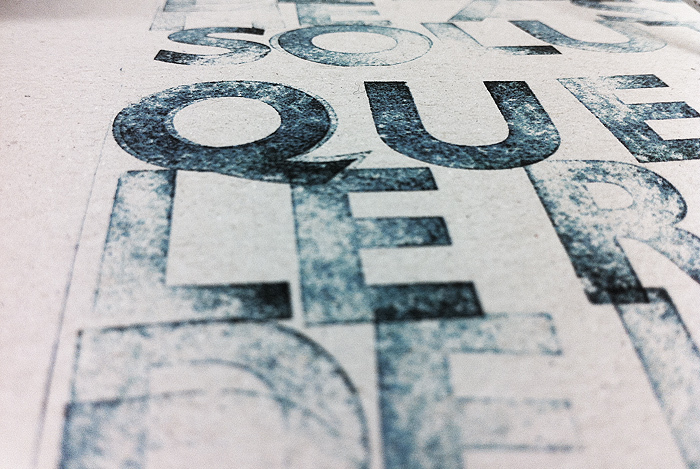 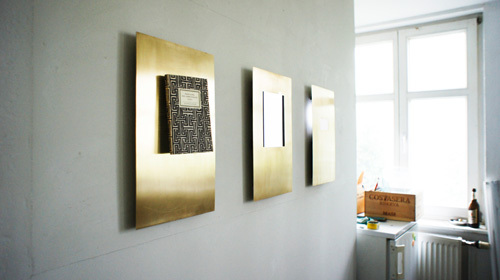 THE FOCUS IS ON NON-DRAMATIC / CONCEPTUAL / NON-EXPRESSIVE / MINIMAL / MEDIA-EXTENDED / ... 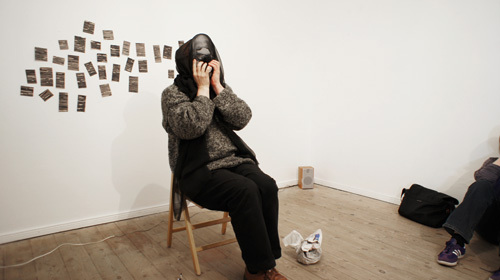 PERFORMANCE ART. 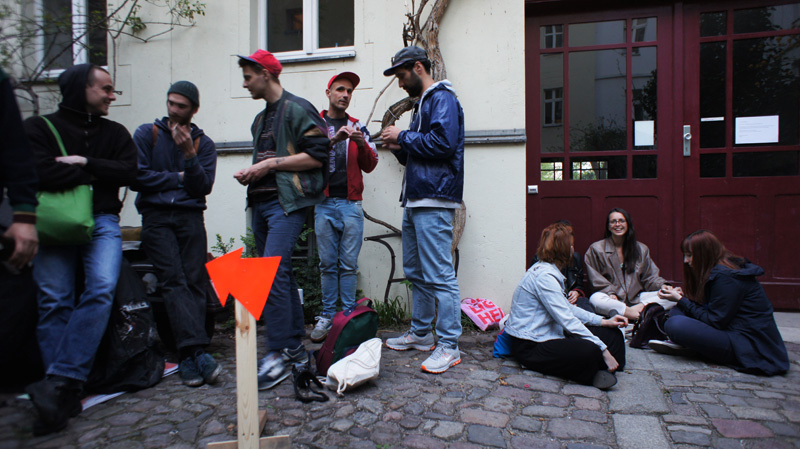 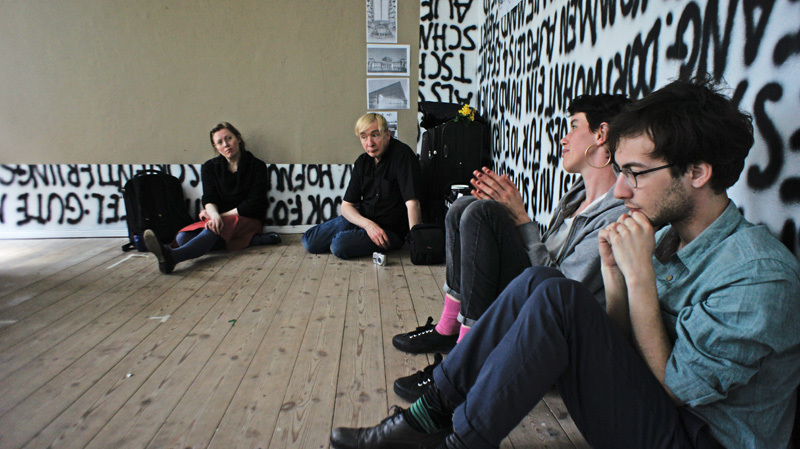 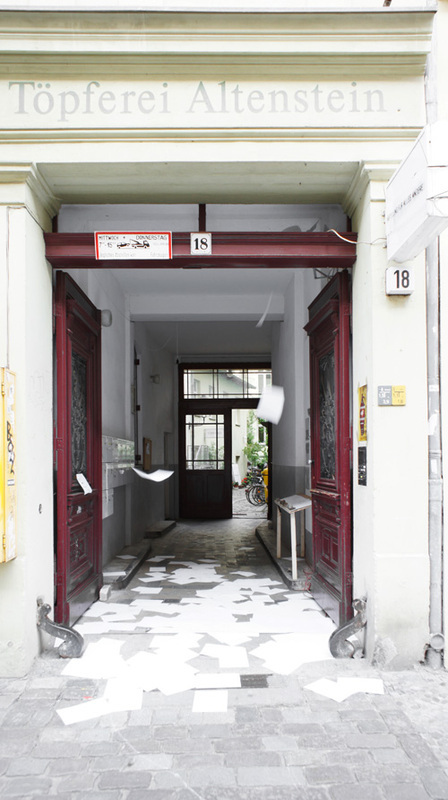 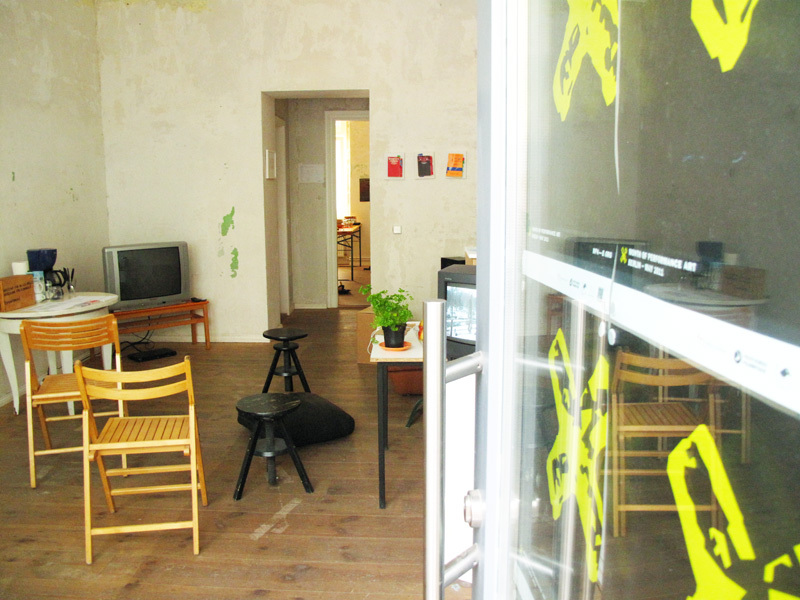 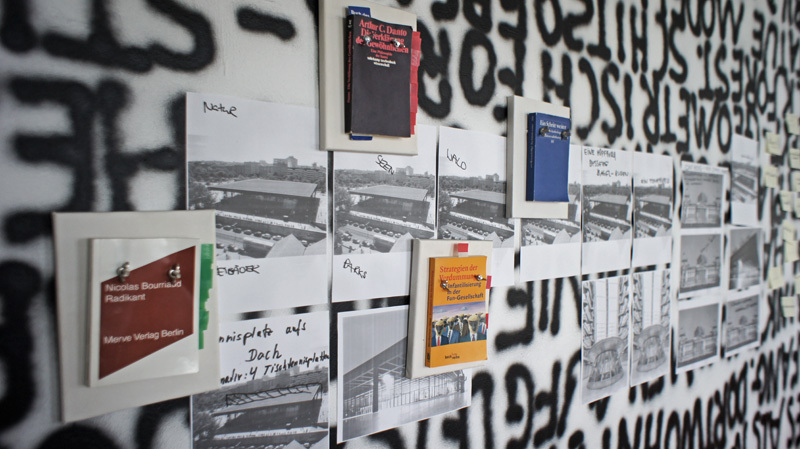 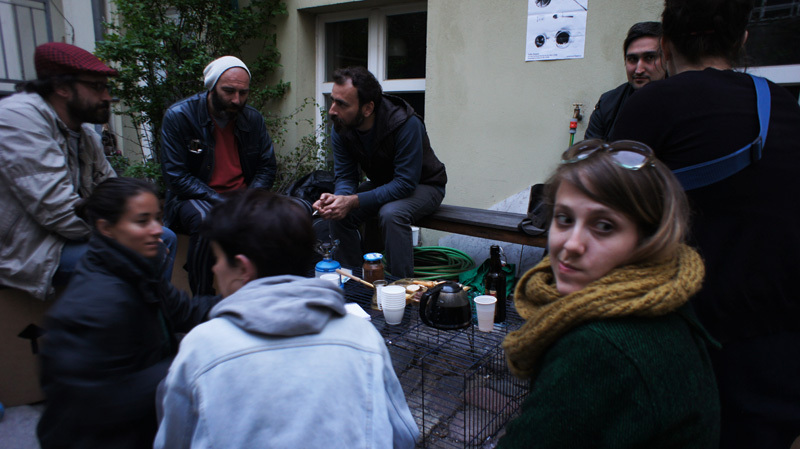 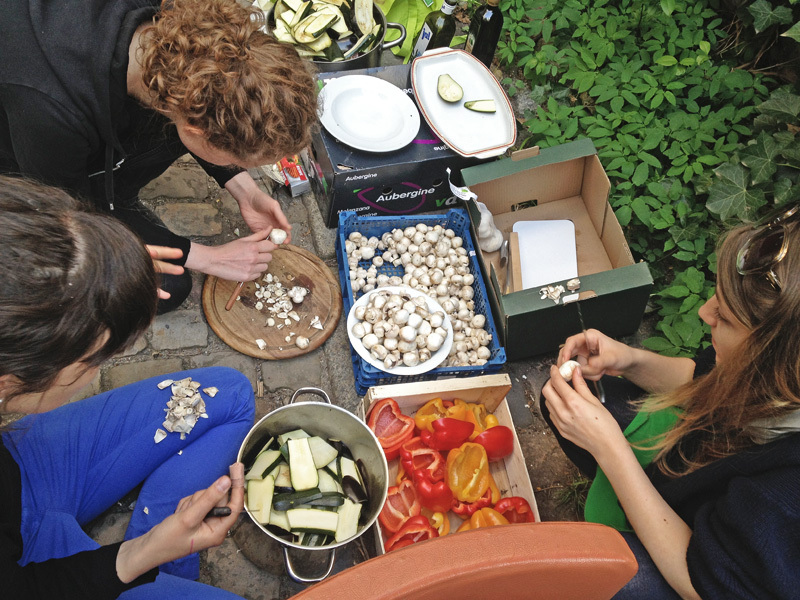 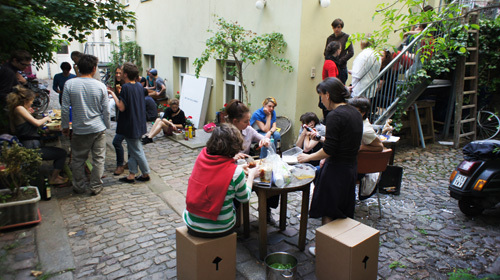 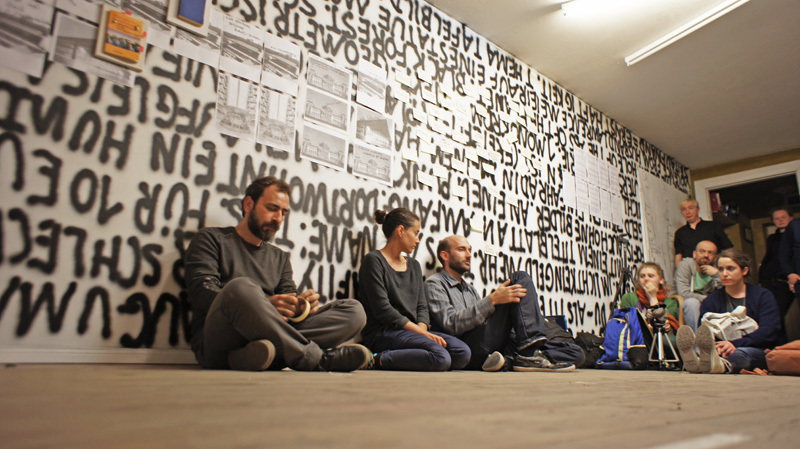 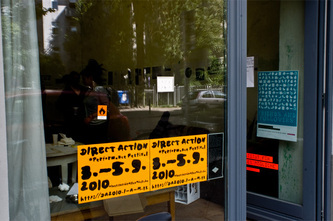 DIRECT ACTION 2012 IS A NON-CURATED PERFORMANCE FESTIVAL TAKING PLACE FROM MAY 18TH–20TH DURING THE SECOND EDITION OF THE MONTH OF PERFORMANCE ART – BERLIN. 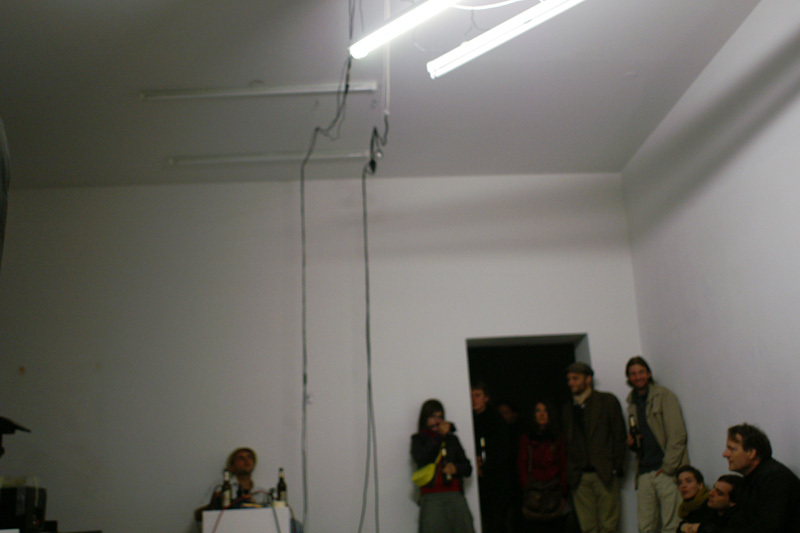 THE FOCUS IS ON NON-DRAMATIC/CONCEPTUAL/NON-EXPRESSIVE/MINIMAL/MEDIA-EXTENDED/ ... PERFORMANCE ART AND THIS YEARS TOPIC IS „PERFORMANCE AND TEXT“. 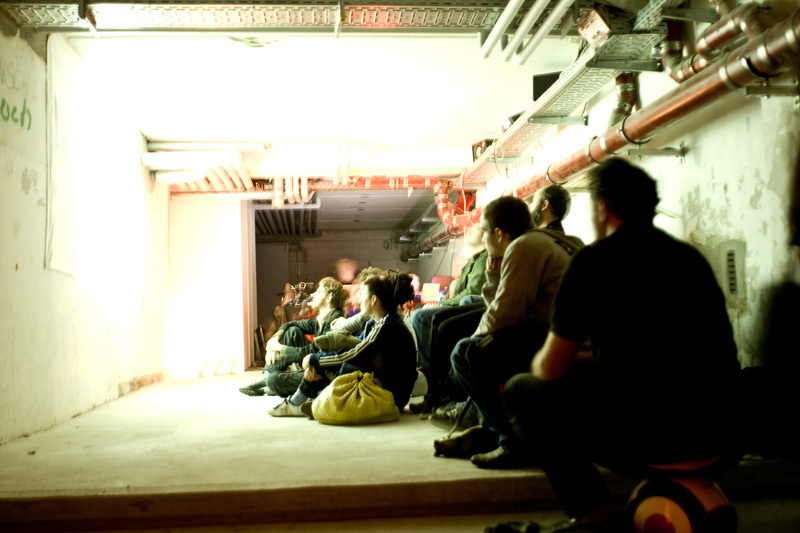 a tiny 2-day-festival consisting of an evening of solo presentations and a screening night. 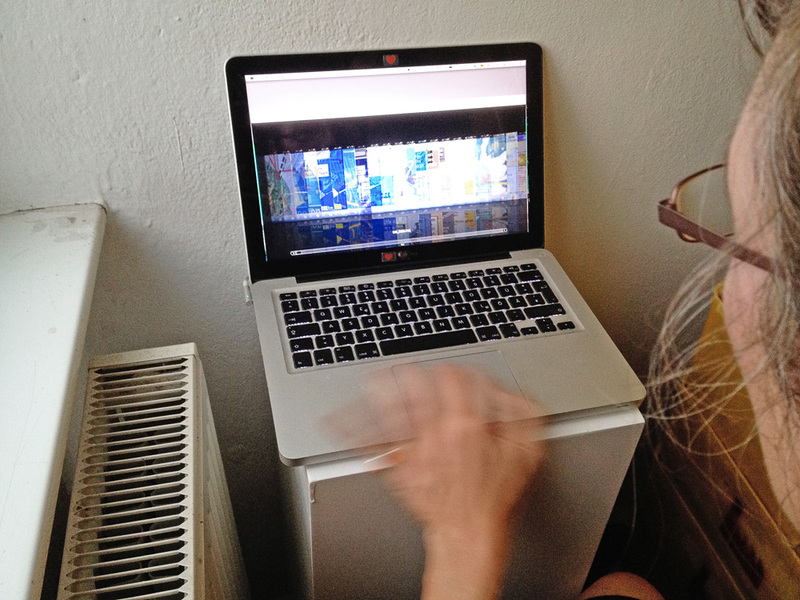 this year: performance on/for/at video. 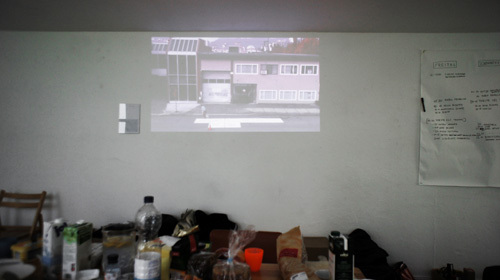 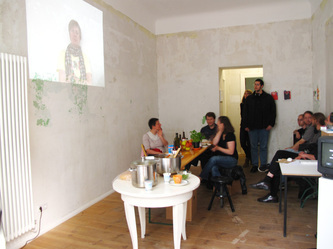 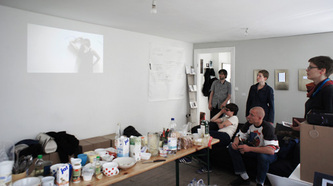 solo presentations by florian kuhlmann, oliver breitenstein, marion ritzmann, moritz majce + herwig kopp and mike edgerton. 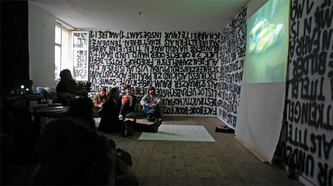 76 ARTISTS FROM 26 DIFFERENT COUNTRIES PARTICIPATED. 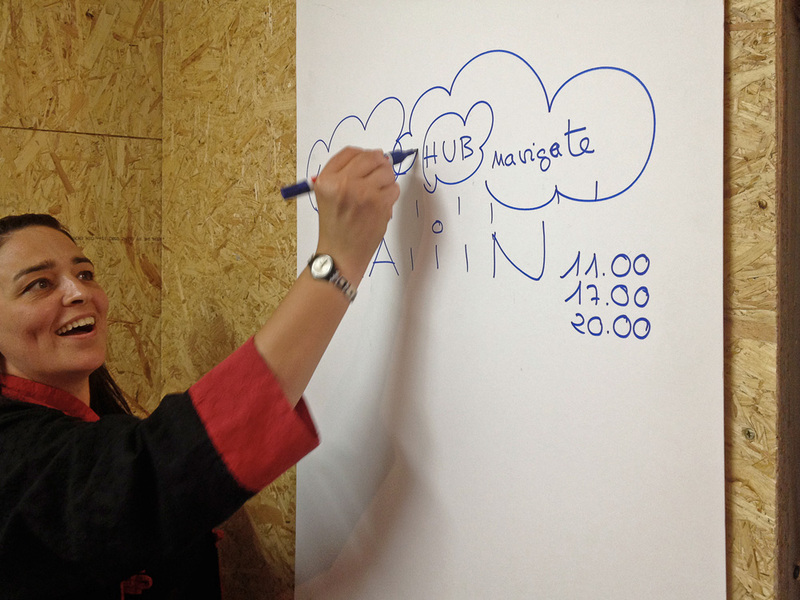 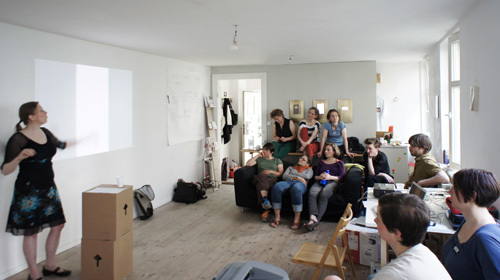 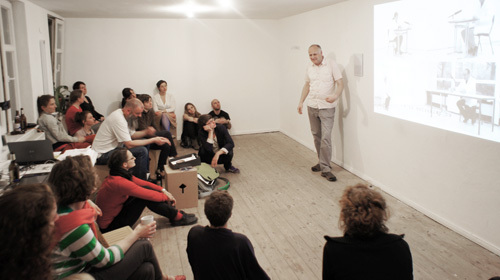 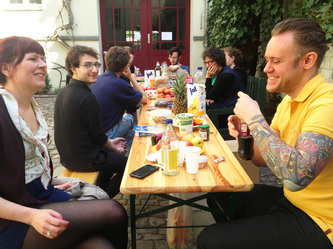 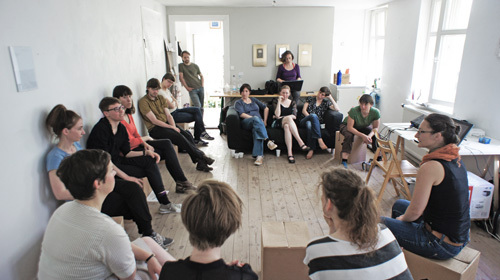 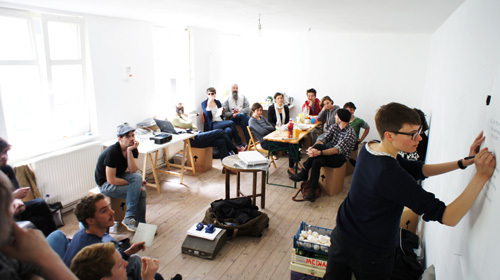 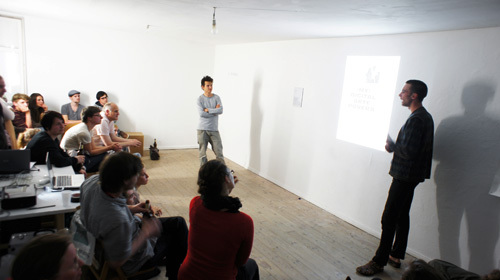 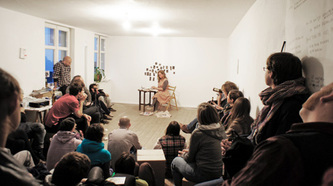 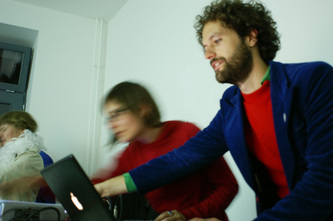 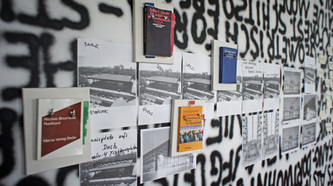 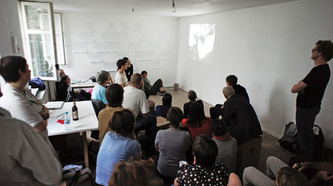 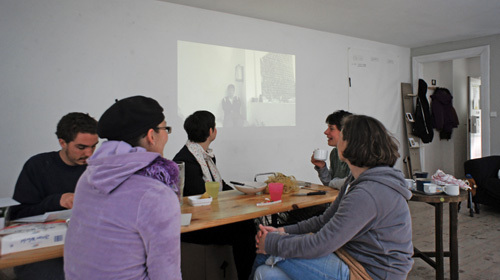 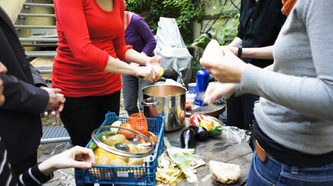 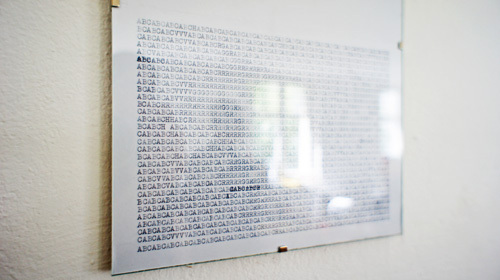 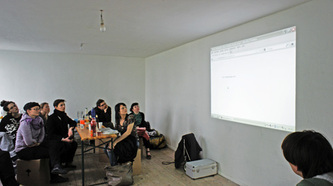 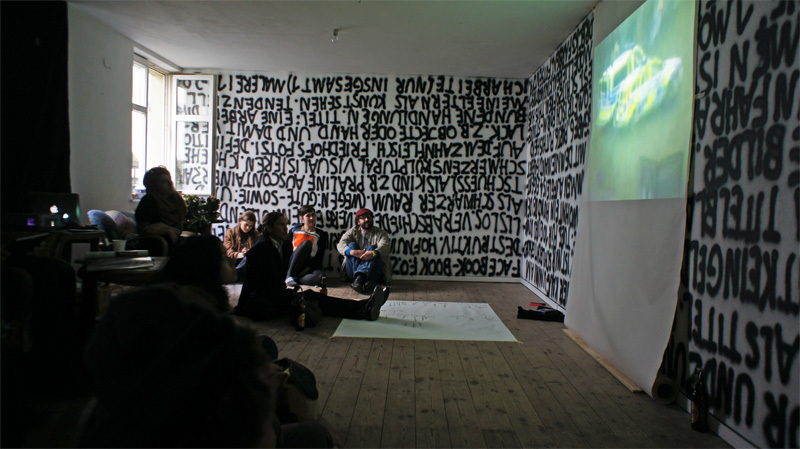 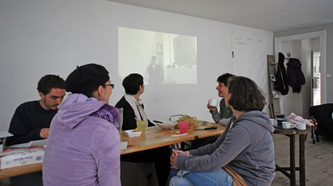 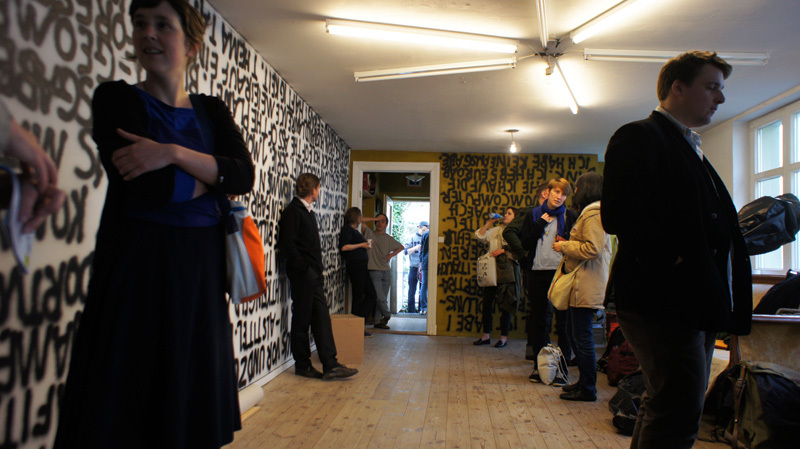 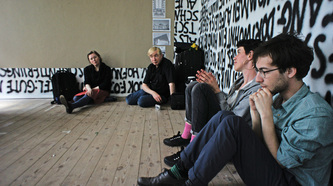 the da2011 program was presented again at konnektor, hannover and at caz, penzance / uk. 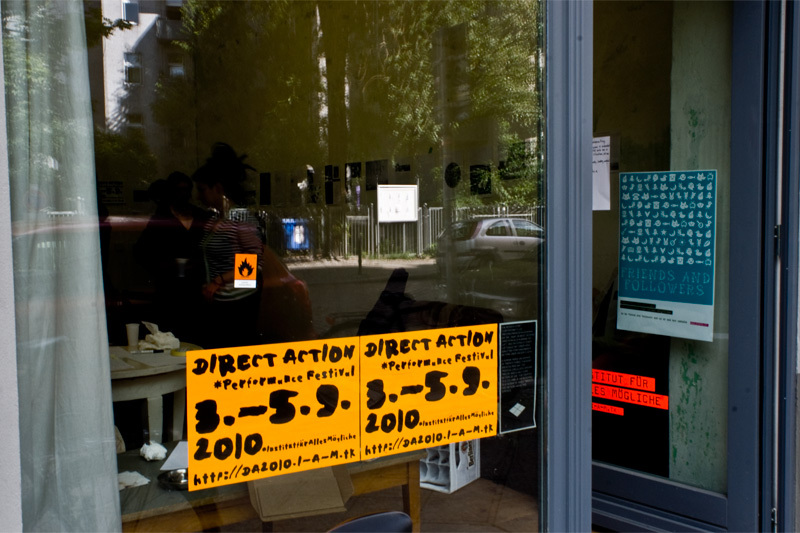 THE FIRST DIRECT ACTION EVENT. 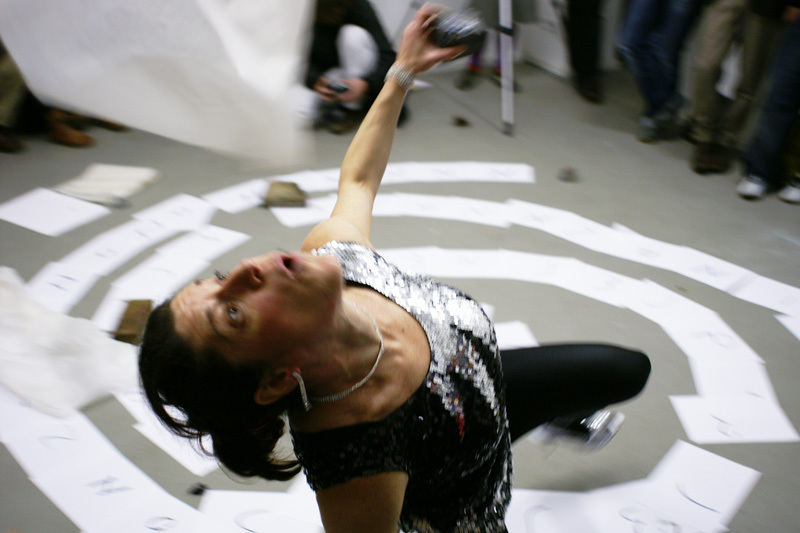 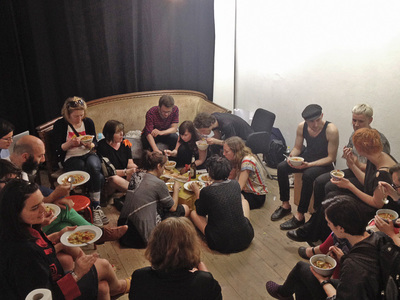 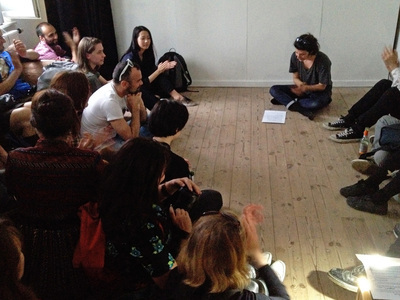 WITH 26 PERFORMANCE ARTISTS AND COLLECTIVES COMING FROM 7 DIFFERENT COUNTRIES.